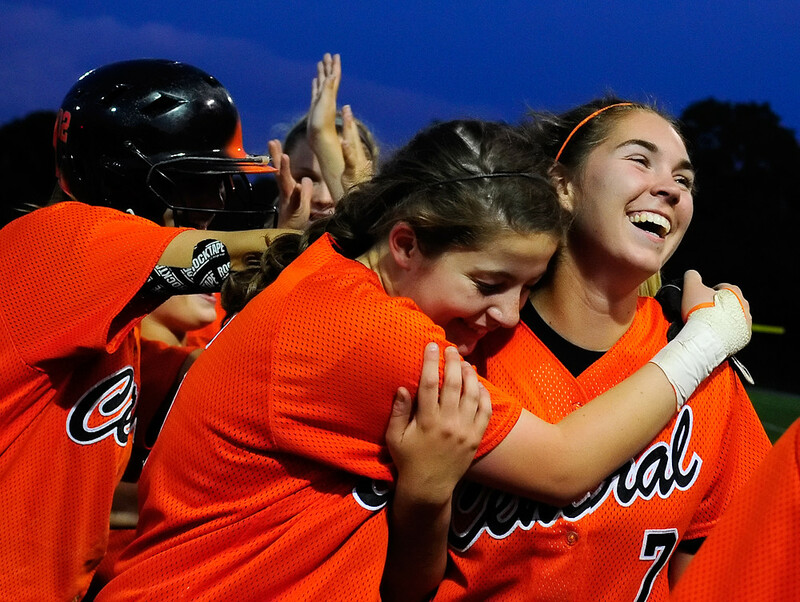 I’ve only shot softball three times (including a doubleheader, so four games), and every time, Central York has won. More significantly, each time I’ve covered their games, the Panthers have won by scoring a run in either the last inning in regulation or the last, pre-tiebreaker inning. © 2012 by The York Daily Record/Sunday News. 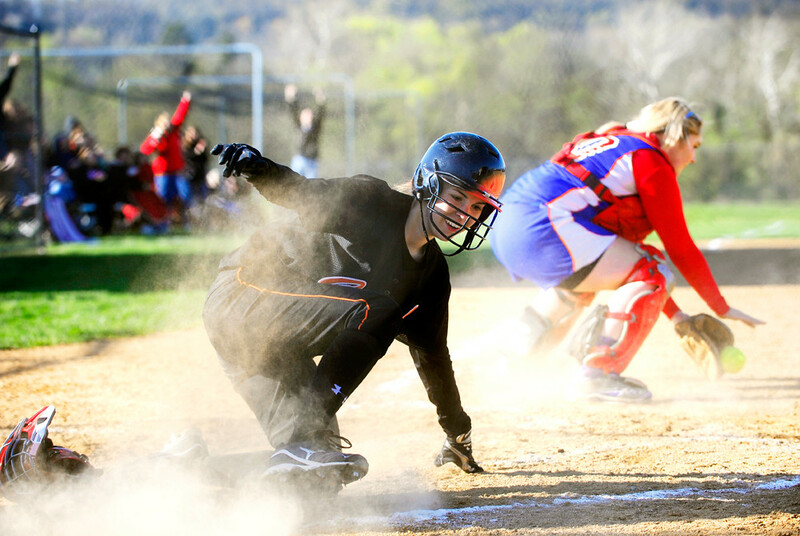 Central York’s Courtney Hastings slides safely into home in the seventh inning against Spring Grove to score the game’s only run on Thursday, March 29, 2012. Central York defeated Spring Grove 1-0 in softball at home on Thursday, March 29, 2012. © 2012 by The York Daily Record/Sunday News. 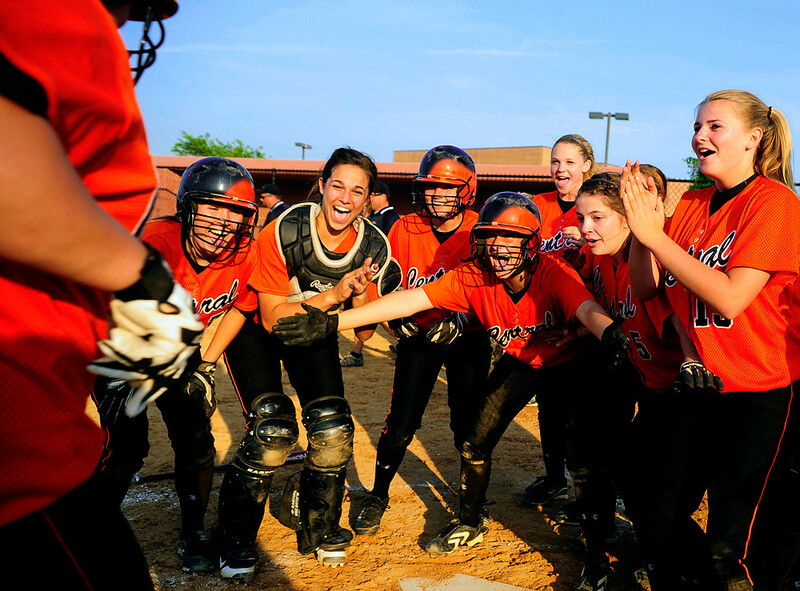 Central York softball players gather at home plate to cheer on pitcher Taylor Rohrbaugh, far left, as she runs home after hitting a homerun in the ninth inning of the YAIAA softball championship game on Wednesday, May 16, 2012, at New Oxford Senior High School. Central York defeated Littlestown 4-2 in nine innings. © 2012 by The York Daily Record/Sunday News. Central York’s Kelsey Wisner hugs Courtney Hastings after Hastings hit a walk-off double that allowed Central York to defeat Elizabethtown 1-0 in nine innings on Thursday, May 24, 2012, at Millersville University to advance to the PIAA District 3 softball semifinal.